I’ve worked with (and for) a variety of startups so I wanted to share some of the most common SEO mistakes that I see recurring on a regular basis. Startups often have a very short runway, so it’s crucial that they maximize every marketing channel available (including SEO). If you avoid these common pitfalls, and layer a sound integrated marketing strategy on top, you’ve got a good shot at turning SEO into an efficient lead and revenue producing channel. This mistake can become very costly over the long-term since it can often lead to longer development cycles (for future SEO work), higher dev costs, and ultimately slower growth. The severity of this issue can really vary depending upon the platform your site was built on and the general marketing savvy of the founding team. This issue often occurs naturally in startups because the founding members are pulled in a variety of different directions in the early days, and SEO often isn’t top-of-mind. Many tech startup teams are also heavily weighted with engineering talent in the initial stages. Marketing resources are often brought onboard in later stages, so those focused on SEO (by trade) can often inherit a toolbox that’s less than ideal for the job. Hire Swiss army knives: this can be challenging depending upon the talent supply in your area, but ideally you want to ensure that your team has both tech and marketing chops from the beginning. Engineers need to think like marketers and marketers need to speak the language of engineers. Gone are the days of silo-ed teams (assuming you actually want to move fast and maximize efficiency). Be open to breaking your “perfect” design/platform: it’s never fun when you have to tear apart something you spent a lot of time (and cash) to build, but sometimes you need to go backwards and move forward. For example, if you built a beautiful UI in Flash you need to be open to trashing it and starting over if you want any SEO success….you should also get some type of public caning for using Flash, but we’ll address that another time. 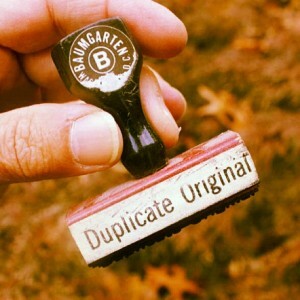 “Duplicate content” essentially means that the same content is accessible via 2 (or more) URLs. This problem can be limited to a single domain (i.e. internal) or it can exist across multiple domains (i.e. external). Duplicate content is a serious issue that can cause your site to lose significant search engine visibility. The duplicate content rabbit hole can be a pretty deep one (depending upon your situation), but here’s a brief overview of some causes and remedies. Domain/sub-domain configuration: most websites are accessible with or without the “www” subdomain (i.e. www.google.com or google.com). However, the optimal setup is to pick ONE configuration (i.e. www.yourdomain.com) and make sure other requests (i.e. yourdomain.com) permanently redirect to you chosen URL format. Secure (https) and non-secure (http) configuration: if you’ve got secure and non-secure versions of the same page, they can be considered duplicates. Again, you need to choose the canonical version and feed it to the search engines. Parameters in URLs: parameters are often used in URLs for tracking or filtering purposes. However, parameters can trigger duplicate content because they essentially create unique versions of URLs (which have the same on-page content). For example: www.example.com/shoes/ and www.example.com/shoes/?id=abc123 ….the content rendered on those pages may look exactly the same, but search engines will see two unique URLs. Leveraging data/content feeds for product pages: this should be relatively obvious, but if you copy someone else’s content you’re going to run into issues. Sometimes, though, this isn’t as nefarious or obvious as it sounds. Let’s say, for example, you’re an ecommerce site that sells books. If you’re getting descriptions for those books from a publisher or third-party distributor’s data feed, it’s 99.9% likely that lots of sites will have those exact same descriptions (pulled from a same data feed you’ve got). If that’s the case, you’re going to be duplicating a lot of content. FYI, this isn’t necessarily plagiarism as the distributor typically owns the rights to disseminate the content. However, it’s duplicate content nonetheless and it will cause SEO challenges for you (unless you augment your pages with a significant amount of unique, original content). Rewriting data feed product descriptions and adding additional unique content (ex. user reviews) to pages. Hiring an SEO professional: If you’ve got a complex site, make sure you hire an experienced SEO with the technical skills to research and untangle the offending code. I mentioned the term “canonical” a couple of times above, so you may be wondering what that means. In the SEO world, choosing a single URL for each piece of content on your site is called “canonicalization” or choosing a “canonical URL.” If you’re working on untangling a duplicate content problem on your site, the important rule to keep in mind is this: “for any given piece of content (e.g. an article, a product page, a user profile, etc.) you only want the search engines to see and index ONE URL for that content. If you run an ecommerce site, for example, you may have the same product that’s accessible from a variety of categories and URLs. Giving USERS multiple access points to a particular piece of content is fine, but you always want to ensure you specify a canonical URL to the search engines so they only index (and focus link authority on) one URL. So, you finally launch your product, you get the word out, and you’re featured on a variety of relevant, authoritative sites. But wait a minute, what’s missing? Did all of the sites that covered your brand actually link back to your site? It’s easy to assume that your work is done once you hit the front page of your favorite tech rag. Yes, brand impressions are great, but links are still the lifeblood of SEO. If someone takes the time to write about your brand, make sure you get a link from them. Sometimes, this can be easier said than done, but generally this is low-hanging fruit and you need to strike while the iron is hot. Fixing this issue can often be as simple as reaching out to the original post author and politely requesting a link to your site. If you used a PR firm to generate buzz, it may be easiest to have them make the link request (assuming they’ve got rapport with the author or site). Tell the author that you’d like to feature their post (and link to it) via the “Press” area on your site if they can add a backlink. Pitch this as a win-win since you’ll be giving their post/brand exposure to your visitors too. Be honest. Don’t say you’re going to feature their post and then “forget” to fulfill your end of the bargain after they link. That’s bad SEO karma that WILL bite you later on. Your industry is much smaller than you think. Startups are known for being nimble, turning on dime, and moving at an ultra-fast pace. SEO campaigns?…not so much. Depending upon how competitive your target keywords are, you could be looking at several months before you see any major progress on the SEO front. This is often a tough pill to swallow for startups with limited time and funding. When progress isn’t seen immediately, SEO campaigns are often shutdown and resources are allocated elsewhere. I think the most common reason this issue surfaces is due to the natural assumption that SEO functions like other digital marketing channels (e.g. PPC, social media, display) where data rolls in within minutes or hours, not months. Fixing this particular issue is all about setting the right expectations. Everyone on the team needs to understand that SEO is a longer-term play. This wasn’t always the case, but the glory days of slapping up exact match domain microsites, directory links, press releases, and syndicated content for quick results are now a thing of the past. Successful SEO (in general) requires consistent publication of valuable content, active outreach & promotion, a build-measure-learn approach, and patience. It’s also worth noting that SEO isn’t “free.” In the past, you’d often hear SEO and PPC referred to as “free search” and “paid search,” but SEO certainly can carry a significant cost if you want to stay on the first page of Google these days. To set appropriate expectations, organizations should ask the basic question: “does the expected output match the inputs?” If SEO is projected to drive 50% of your leads and revenue, but you’ve allocated minimal resources to it, you’re likely setup for failure. SEO isn’t free, but with dedicated resources (and a solid strategy) it will typically become one of your most efficient channels over time. This is pretty much SEO 101 here, but I’ve included it on the list because I still see this happening on a regular basis. As a general rule of thumb, every page on your site should have a unique page title and meta description. Keep the overall title length at a max of 55 characters. Anything beyond that will likely be truncated in the Search Engine Results Pages (SERPs). When it comes to optimization, the meta description is often the red-headed stepchild of SEO (I can say that because I used to have red hair). Unlike the title tag, the meta description doesn’t really have a direct impact on your rankings. However, a good meta description can significantly increase clicks on your search results (which ultimately increases traffic & revenue – score!). A bad meta description (or no meta description at all) can make your search results look irrelevant to the user (even if you do have a high ranking for their search query). The main job of the meta description is to get a user to click your search result. So, make it compelling. Don’t stuff them with keywords (it won’t help your rankings anyway). If your meta description is overly spammy or irrelevant, search engines will often ignore it and create their own from on-page text. It’s too much work. If you’ve got a huge site, it can seem like a daunting task to customize millions of page titles & meta descriptions. A good compromise for larger sites is to use title and meta description “templates” which dynamically leverage product names and (elegantly) spun text for diversity. Generally, strengthening your page titles and meta descriptions isn’t too complex to execute. Unless you’ve got an inflexible CMS, customization should be relatively straightforward. So, find someone on your team that’s good at keyword research (and copywriting) and get them out there to pick off this low-hanging fruit. Startups are constantly changing, moving fast, rigorously testing new ideas, following the Build-Measure-Learn philosophy….well, they’re supposed to be anyway, right? The reality is that not all companies follow that path and sometimes change can be uncomfortable (yes, even in the startup space). This can certainly cause SEO challenges if a company has a sub-optimal site structure that it’s reluctant to modify. Often this issue surfaces as a result of SEO becoming a focal point after the product is fully-baked and launched (see Mistake #1). After you’ve dumped a ton of hours and budget into creating the “perfect” user interface and experience, it’s hard to tear it apart again. Yes, that seems counter to all things startups represent, but it happens. Fixing this issue is all about finding that delicate balance between focusing on users vs. search engines. For example, keeping a super-clean, minimalist header navigation can often create SEO challenges on many sites. In this situation, you can strike a balance by adding strategic footer links or leveraging CSS dropdown menus to keep a clean design. Here are a few examples of sites that balance both clean design with very strong SEO results. *The caveat here is that these designs work well for Zillow & Indeed, but all companies are different. Zillow & Indeed also do an exception job of link building to their lower-level interior pages via widgets and other tactics which may or may not be suitable for your business. Who doesn’t love a nice steady flow of traffic their site? Well, unfortunately you can’t take traffic to the bank. You have to look beyond the nicely rising analytics graphs and understand whether that traffic is actually materializing into leads and revenue. If you’re not looking behind the curtain to understand what’s really going on, you could be wasting considerable amounts of time, resources, and cash. Traffic is a vanity metric that’s easy to fall in love with. It makes you feel good when more and more people are visiting your site. Also, over the years, Google has made it more challenging to analyze SEO traffic at the keyword level to really understand what’s working and what isn’t. Shift your focus from analyzing traffic to becoming laser-focused on metrics which really matter to your business (e.g. leads, sales, & revenue). Yes, Google’s keyword “not provided” changes have made pinpoint analysis more challenging in recent years. However, by leveraging Google Webmaster Tools, tracking goals (by traffic source) with your web analytics, and sniffing/storing referral sources in your database you can get a pretty good picture of SEO’s bottom line contributions. So, put down the traffic reports and start focusing on metrics that matter. One final note, when it comes to SEO analysis, is that it’s helpful to understand branded vs. non-branded performance. If 90% of your SEO conversions are coming from brand-related keywords, you don’t have great SEO, you’ve got great brand awareness. In the startup world, you have a very limited time window to gain traction in your niche. Since SEO typically doesn’t bring significant revenue overnight, it often takes a backseat to other marketing channels. However, if you build a sound SEO foundation from day 1, and continue to create valuable content on a regular basis, you’ll surely see dividends down the road. The SEO mistakes list mentioned above certainly isn’t exhaustive, but it covers some of the common, low-hanging fruit challenges I’ve seen surface regularly. If you’ve got some additional SEO challenges that you’ve seen in your experience, or just comments/questions on the post, please share them in the comments below.